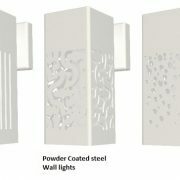 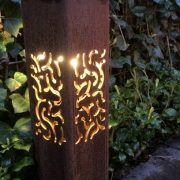 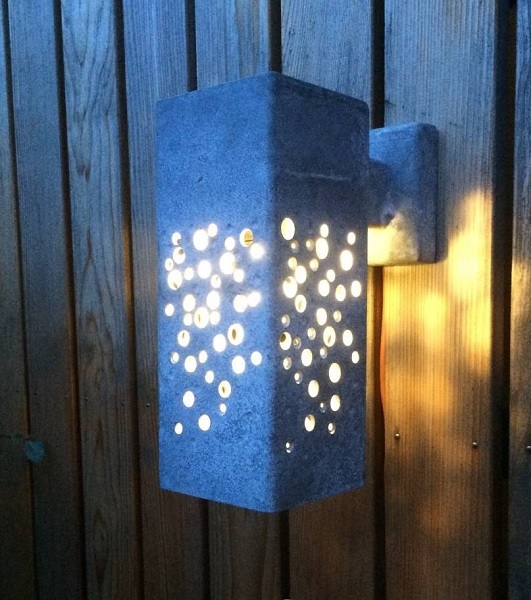 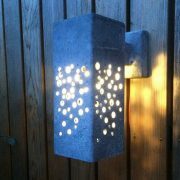 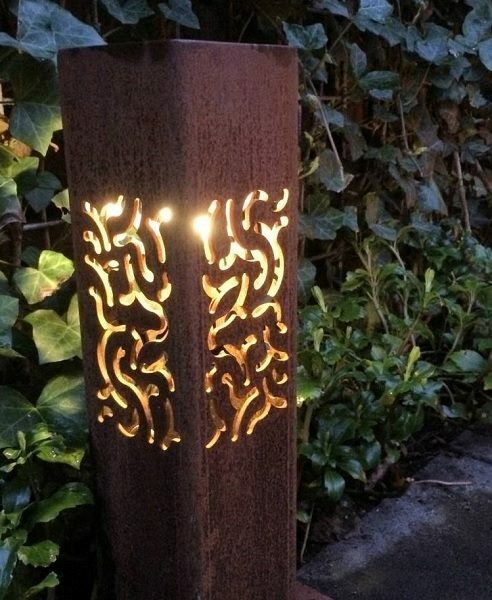 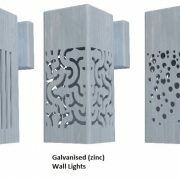 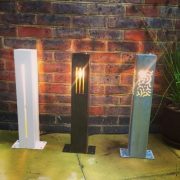 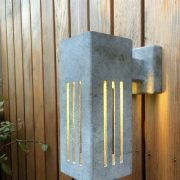 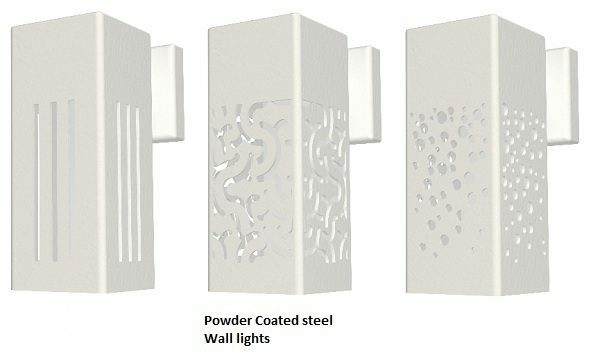 There are 3 sizes of garden lights to choose from, 600mm tall columns, 400mm tall columns, or wall lights with a length of 250mm. 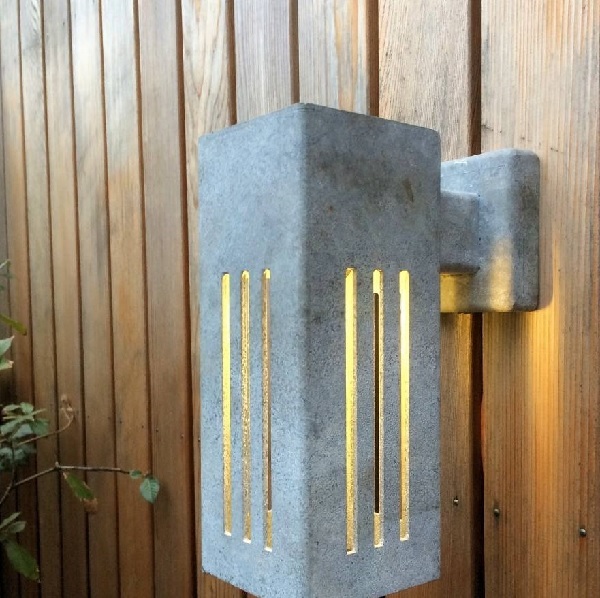 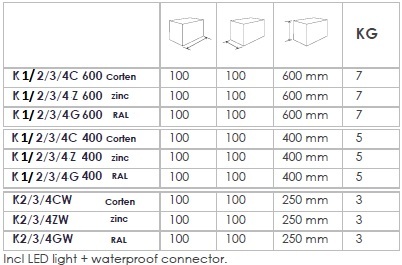 All come complete with an LED light & a waterproof connection. 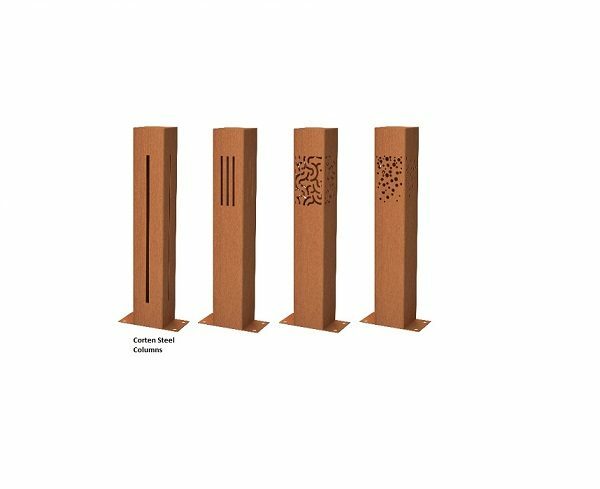 Our Corten steel range look great in either a more traditional garden setting, or contrast well in a modern outdoor space. 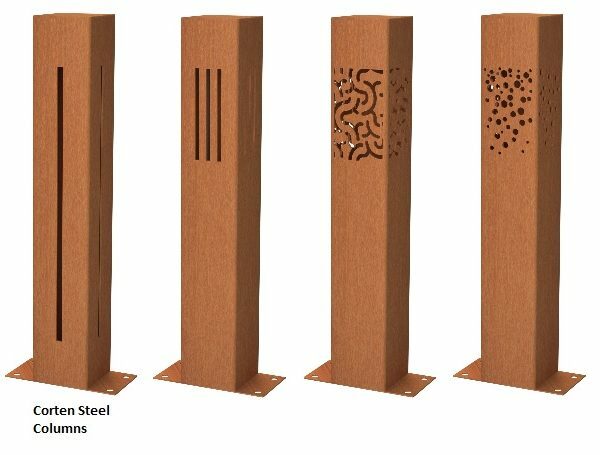 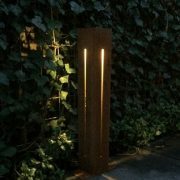 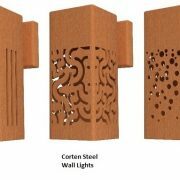 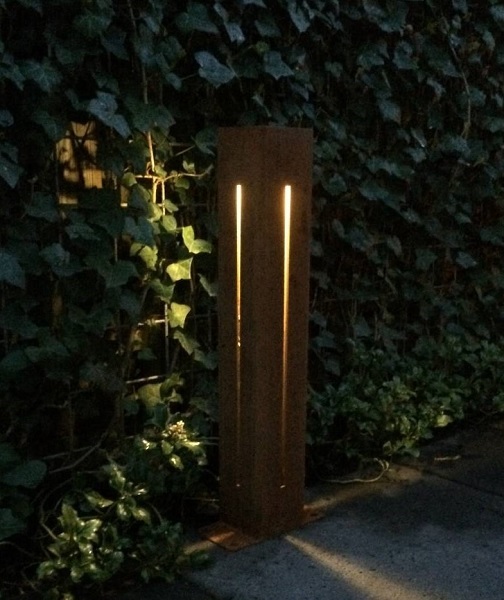 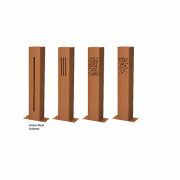 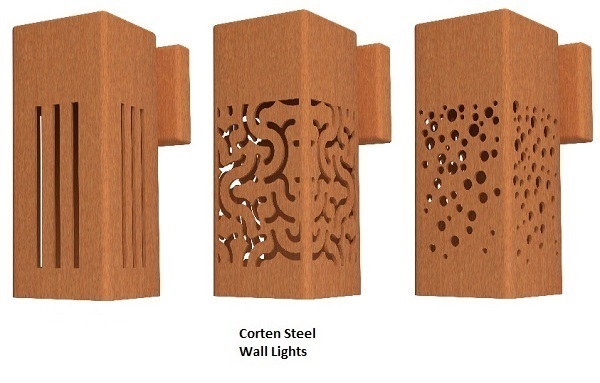 A great addition to your outdoor space, especially if some of our other Corten Steel products are to be used ie. 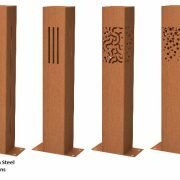 Planters, wood burners, water features or stairs. 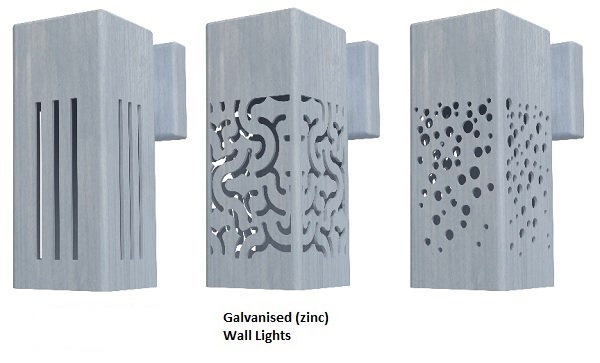 Our Galvanised steel range are a great choice for a modern setting, whether residential or commercial. 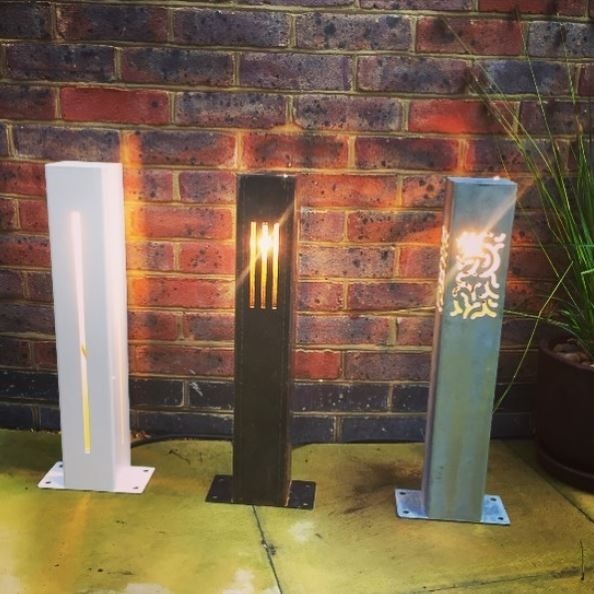 With an industrial feel to these products, they suit a commercial setting exceptionally and look great when used in unison with our Galvanised steel planters. 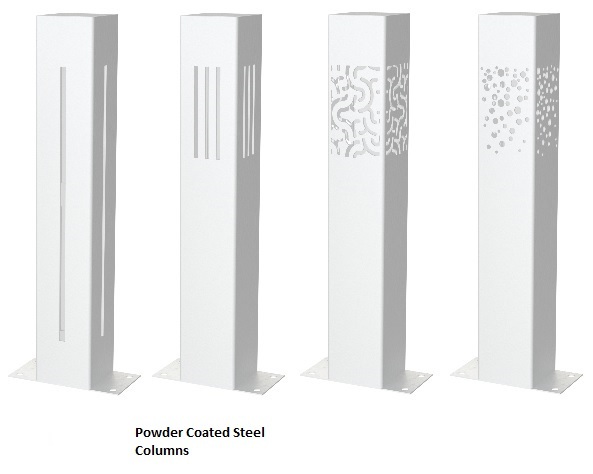 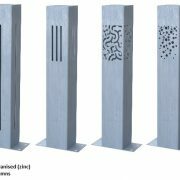 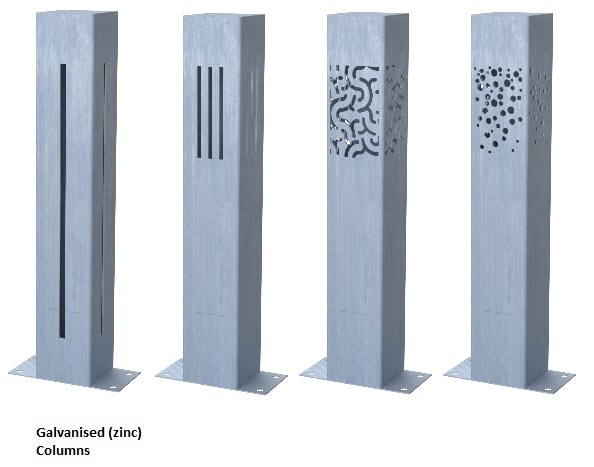 Our Powder Coated steel range are a real customer favourite as they are a great addition to any outdoor space, whether residential, commercial, traditional, or ultra modern, these products will enhance any space in which they are placed. 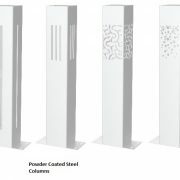 With the option of having these products in almost any RAL colour of your choice, they are a fantastic option if you are matching existing themes or decor, or just want to create a wonderful effect by adding a bit of colour to a space.